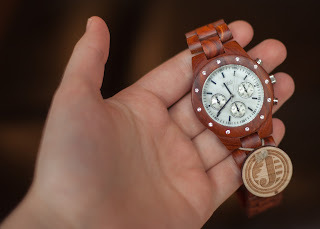 At the Fence: Jord Wood Watches and Father's Day! 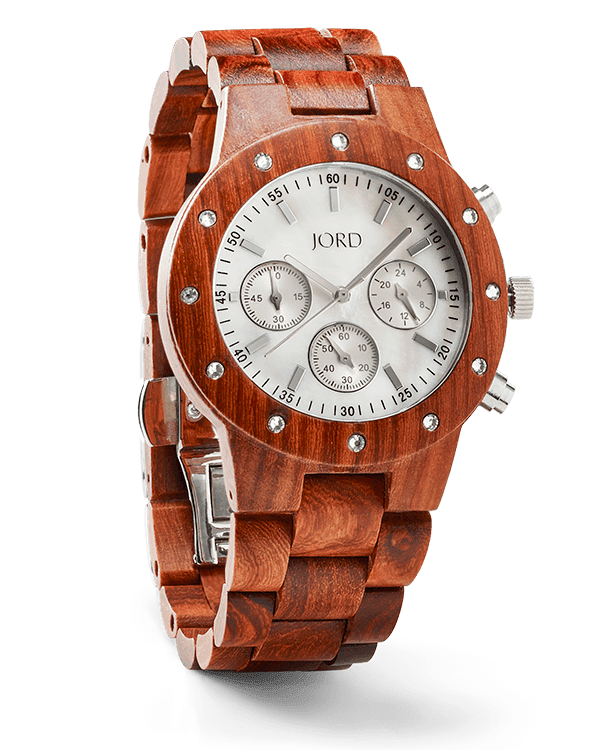 How many of you have ever heard of Jord Wood Watches? They are so unique! 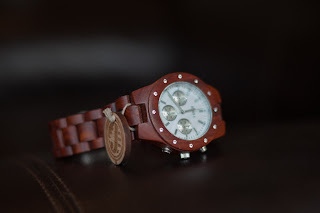 I received the Sidney in Red Sandalwood and Mother of Pearl. It is so very beautiful. 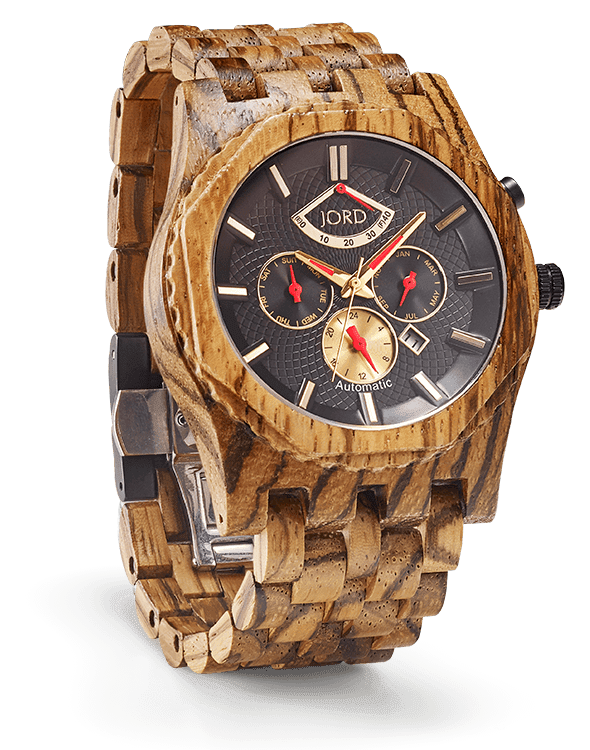 Jord watches all have wood bands, in a variety of woods. Father's Day is fast approaching and any one of their men's watches would make a beautiful gift. 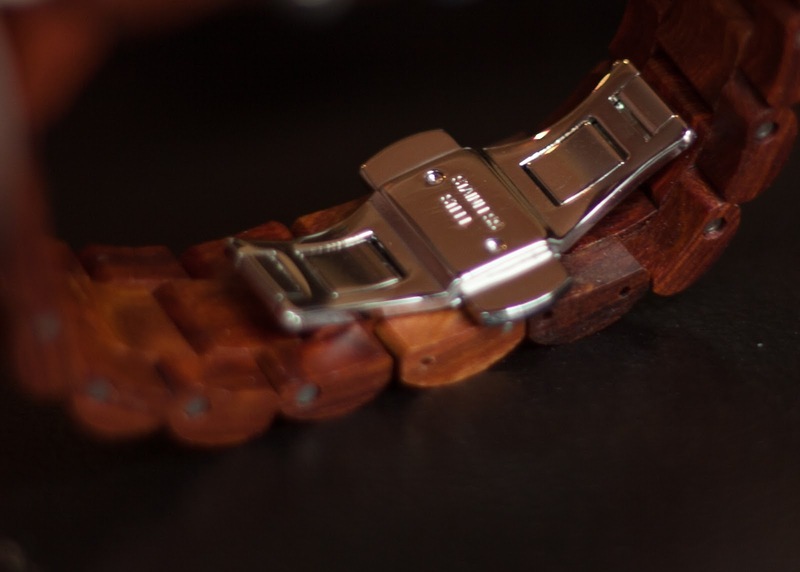 When you order you will need to have a wrist measurement, so the watch will be properly sized. Each watch will be slightly different because of course they are all made of natural wood. 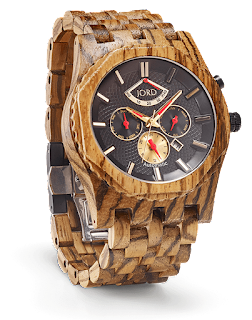 You can choose from Sandalwood, Zebrawood, Maple, Bamboo and several others. 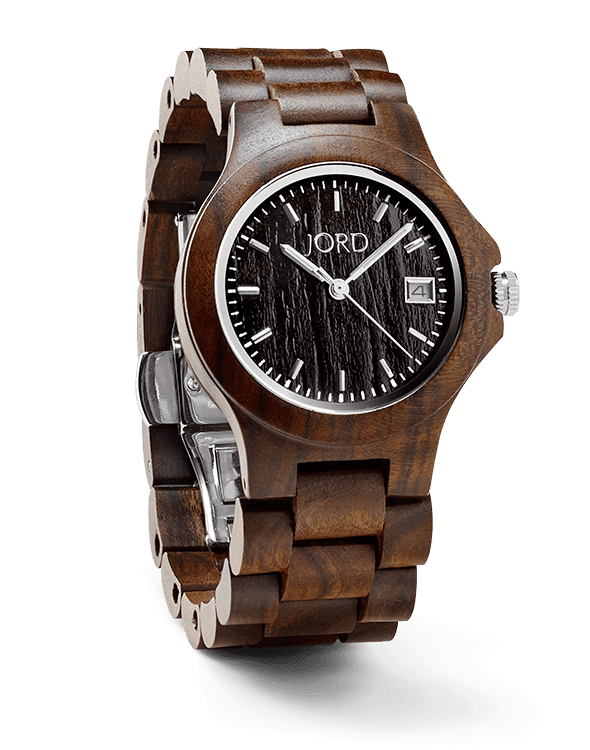 Be sure to visit their page to see all the different types of movements that are used in the Jord watches. They have self-winding or battery powered. They are made with Sapphire Glass. The glass is well-known in the luxury watch world. Sapphire is a synthetic crystal (aluminum oxide Al2O3) rather than actual glass. It is colorless and optically clear. Mechanically, it is second only to diamond as the hardest and most scratch resistant materials on earth. It also has a very high modulus of elasticity and tensile strength, making it extremely versatile and resistant to impact/abrasion. JORD stays true to their mission of quality and craftsmanship by incorporating this same glass in many of our premium timepieces. Here is one of the Sawyer Series in Zebrawood and Obsidian. 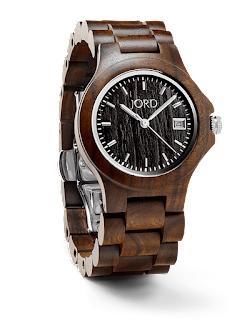 Or maybe he would prefer the Ely Series in Dark Sandalwood. Check out the giveaway Jord is hosting. There will be one grand prize winner that will receive a $75 E gift certificate. The remaining participants will receive a $20 E gift certificate. These will be able to be applied to any watch in the store. So neighbors, how many of you are interested in entering this giveaway? Let's show Jord how many neighbors would like to try one of their watches. See you soon! 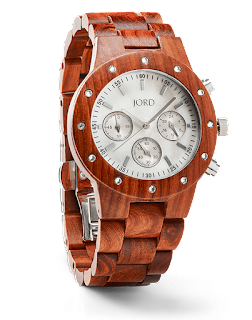 Jord wood watches are so nice. I would love to have one for myself.